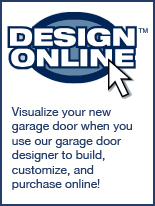 " We're changing the perception of garage doors…one door at a time ." We take great pride in offering one-on-one quality customer service with each and every one. In addition, we offer Twenty Four Hour Emergency service with the utmost customer satisfaction. Our entire staff is committed to providing a welcome and comfortable setting that leads to satisfied customers and long lasting relationships. Financing Only Available in the State of Georgia. CLICK ABOVE LOGO to Apply!